Comics – Two of a Kind! Each morning, Veronica is awakened by her personal maid, Robin, and Betty is awakened by a robin singing on her windowsill. When she was 9, Betty received a miniature house from her dad. At a “similar age”, Veronica also got one from her dad. The difference is Veronica’s was an actual walk-in, private house! When they were 12, Betty and Veronica each had their own paper route. The difference is Veronica threw her papers out of a limo. Also, the name of the paper that Betty delivers is called Blade Trib, which is weird. At their birthday parties, Betty and Veronica danced to the music of their favorite group, the Paper Clips. The difference is Veronica actually got the band to perform in person, and Betty had to settle for records. Both girls get a lot of exercise, but Betty’s comes through doing chores. Both girls believe in home permanents. Betty does her own, but Veronica get a visit from the staff of Fifi’s Beauty Salon. Neither girl has enough money to shop, but Veronica has credit cards to fall back on. Most mornings, they each have difficulty deciding what to wear, but Veronica has far more choices. Both girls’ food tastes are “quite simple”. 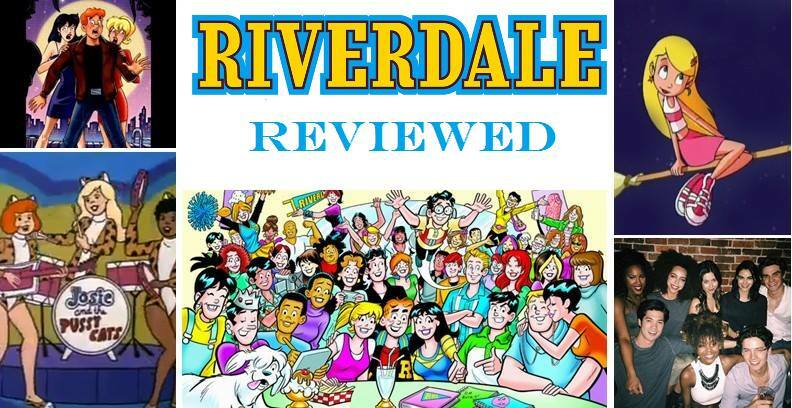 Betty orders pizza at Pop’s, and Veronica orders pizza at a fancy restaurant. Another “simple taste” that both girls share is Archie. Of course, they stereotypically each pull on one of his arms. This story was okay. Betty and Veronica really are “two very different girls from different worlds”, though. After this is a one-page ad posing as an Archies story: “Let’s Do the FruitSlush Mush!” Witness the band singing about fruit snacks! Previous Previous post: Comics – Twisted Sitters!